A recently released report by the Stockholm Center for Freedom (SCF) has revealed how the government of Turkish President Recep Tayyip Erdogan has abused the rule of law and jailed innocent people on absurd charges, from possessing a dollar bill and cancelling a cable TV subscription to purchasing the most highly circulated daily and membership in a union. By the government’s own admission, 50,510 people were arrested and 169,013 have been faced legal action, most in the form of detention. More than 150,000 judges, teachers, doctors, police, academics and other civil servants were summarily fired and branded as terrorists by the government’s decree-laws, otherwise known as Erdogan’s royal decrees, in the last year alone. “If you look at the purported criminal evidence cited by prosecutors and the courts for jailing tens of thousands of people on terrorism and coup charges, the Erdoğan government can easily label millions of people in Turkey as terrorists and putschists,” Abdullah Bozkurt, SCF president, said. “The Turkish government is inventing new crimes that have no basis in the penal code and are clearly against the articles of the European Convention on Human Rights, to which Turkey is party,”’ he added. The witch-hunt persecution has taken a toll on participants and volunteers of civic group the Gülen movement, inspired by US-based Turkish Muslim scholar Fethullah Gülen, who has been an outspoken critic of President Erdoğan over corruption in the government and Erdoğan’s aiding and abetting of armed jihadist groups in Syria. The Kurdish political movement and leftist groups have also received their share of persecution under the Erdoğan regime. In this study, SCF reviewed tens of thousands of pages of court documents, indictments, depositions and arrest warrants to identify the absurd pretexts used by prosecutors to indict suspects and judges to jail innocent people who are alleged to have been affiliated with the Gülen movement. The most notable ones that stand out from the rest include the following. The list is certainly not an exhaustive one but tells the tale of the terrible state of the rule of law in Turkey. 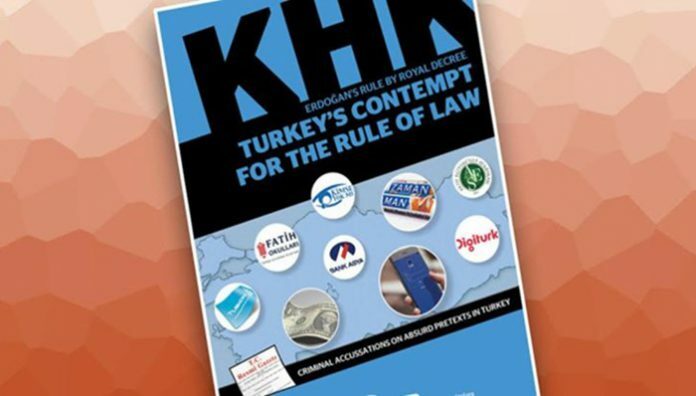 Subscription to the Zaman daily: The newspaper sold as many as 1.2 million copies at its peak, especially right after corruption scandals that incriminated Erdoğan, his family members and his business and political associates. 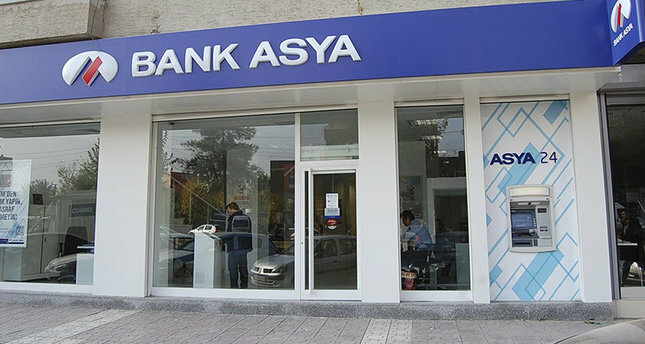 Being a client of Bank Asya: One of three banks in Turkey with the highest liquidity, it was seized by the government on false charges. It had 1.5 million clients. Union membership: The Aksiyon-İş Union, a confederation of unions representing labor in various sectors, was targeted by the government because of its opposition. It had 22,104 members. Membership in business association TUSKON: The Turkish Confederation of Businessmen and Industrialists, best known by its acronym TUSKON, was the umbrella organization for 211 businessmen’s associations in Turkey and 150 others in several countries. It had more than 40,000 members. 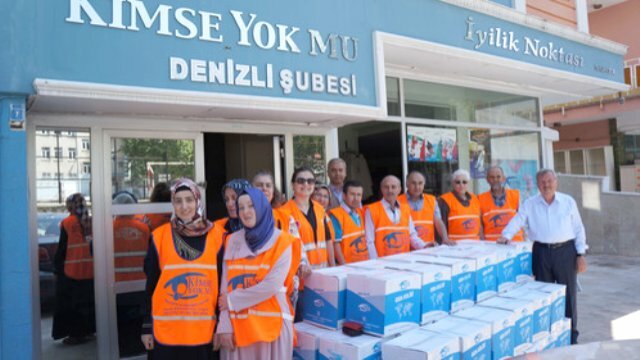 Volunteering for the Kimse Yok Mu charity: A charity organization that was a member of UN Economic and Social Council (ECOSOC) and partner to the UN High Commissioner for Refugees (UNHCR) had been listed as terrorist organization by the government over its links to the Gülen movement. It had over 200,000 volunteers in 2015. Lawyers associations: Thirty-four lawyers’ societies or associations have been arbitrarily shut down in the last year alone. Their members were treated as suspects. A total of 523 lawyers including the heads of provincial bar associations were arrested and 1,318 lawyers have been prosecuted since 2016. Possession of books by Fethullah Gülen: Publishing houses that printed and distributed Gülen’s books were shut down, copies were collected and destroyed. Anybody who has a copy of one of the 64 books authored by Gülen is being treated as a suspect in Turkey. Some of Gülen’s books sold as many as 1 million copies. Cancellation of Digiturk subscriptions: Digiturk, a cable TV platform, unlawfully removed critical TV networks from its lineup under government pressure, and many people cancelled their subscription in protest. Some 168,000 people reportedly cancelled their membership after main opposition political party the CHP joined the protest. Court documents show the cancellation was accepted as membership in a terrorist organization. 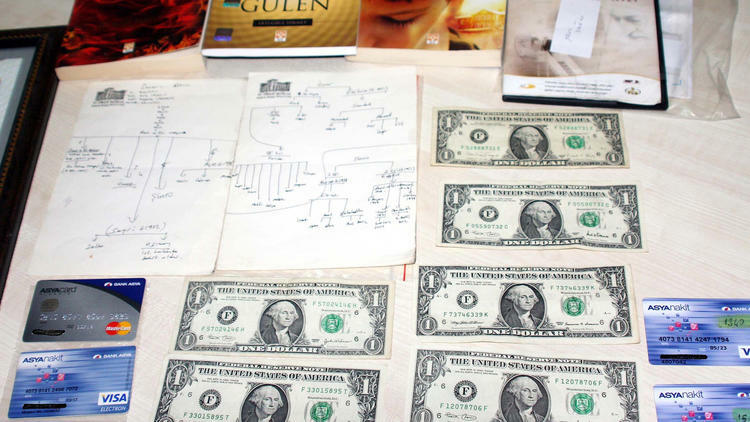 Possession of one-dollar bills: Turkish investigators claimed possession of a one dollar bill and the serial number on the note is a mode of secret communication among members of the movement. This far-fetched claim has led many people with a dollar bill to languish in Turkish jails including a US national who works at NASA. The US Federal Reserve reported $11.7 billion in one-dollar bills in all letter series in circulation as of 2016 and plans to issue $2.4 billion in 2017. ByLock messaging application: Using and/or downloading a smart-phone application called ByLock, which was freely available on Google Play and the AppStore, is considered to be criminal evidence by Turkey. Very little, if any, content has been produced thus far, yet anybody who is alleged to have downloaded it is regarded as a suspect. The app was downloaded a million times and reportedly had 215,000 users. Being a relative of a suspect: One of the most outrageous illegal practices carried out in Turkey has manifested itself in the form of violation of the principle of individual criminal responsibility. The government started arresting family members and relatives of suspects without any evidence other than blood and marriage links.